This BOAT has fantastic views with stunning scenery, dry stone walls, partridge, sheep and, in the main, a very easily driven well maintained dry track. It's also a really good length at over 4 miles. 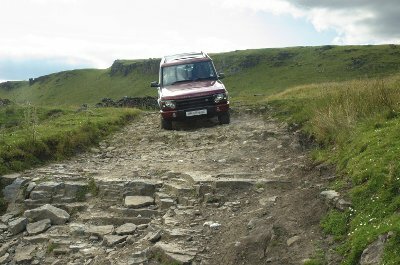 The end section is however not so easy and is certainly not suitable for a vehicle without good clearance. However there is space to turn around and continue the drive back along the route just travelled making the entire byway into a journey of around 8 miles. A much better solution than simply using the adjoining moorland and grassland to avoid the trickier end section a method which has obviously been used by some drivers. 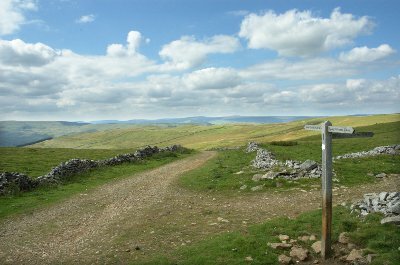 Management of green lanes in the Yorkshire Dales is a constantly evolving and very emotive issue. When we drove this lane (31/7/2011) it was open to recreational motor vehicles and the BOAT sign was displayed clearly at the start of the lane. Be aware that Traffic Regulation Orders are often put in place to limit vehicular access to routes both permanently and temporarily. Current TRO's can be checked here but also visually check before driving that the lane does not have any vehicular restrictions on it that have not yet been published. 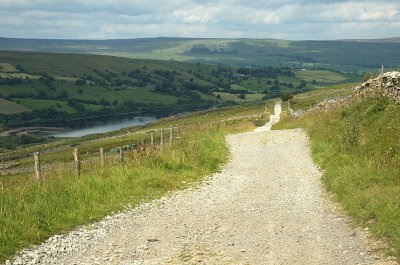 The Yorkshire Dales are well known and well publicised. They attract walkers from all over the world and that's not at all surprising as the scenery is outstanding and the villages dotted around have remained mostly unaffected by the modern day rush of life. Before setting off to drive lanes in the dales it is well worth taking a look at a larger scale map than the Landranger 1:50000 series. 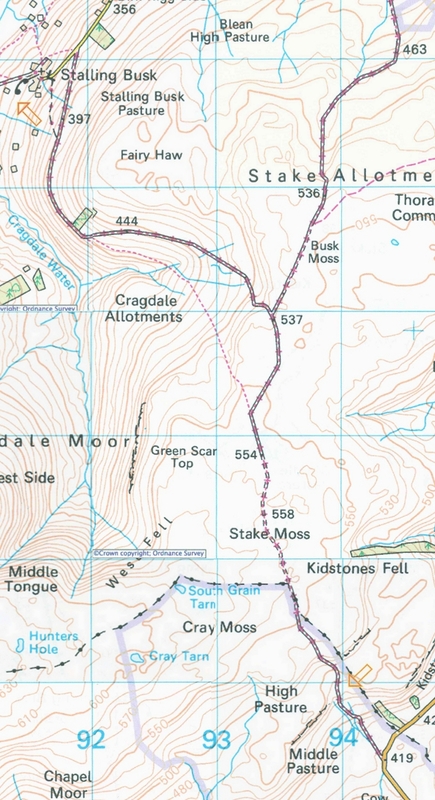 A glance at the start of this lane on the 1:25000 Explorer map shows waterfalls and fords almost within touching distance of the lane. Too big to use as a driveable map small sections can be viewed and printed from streetmap.co.uk.